Japanese and Chinese lanterns create beautiful decorating accents. 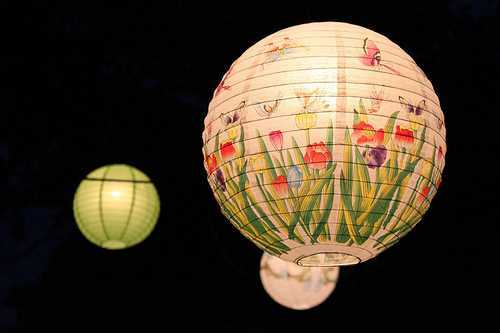 Made of rice paper or silk lanterns are a great option for creating exotic party or holiday decor. Japanese and Chinese lanterns look unique and extravagant, bringing oriental designs into homes, giving an opportunity to create traditional and bright home decor for Chinese New Year celebration. Traditional and contemporary Japanese and Chinese lanterns are perfect holiday decorations that give homes a fresh, unusual and bright look. Made of rice paper or silk Japanese and Chinese lanterns are traditional holiday decorations during Asian festivals and lunar New Year celebration. It is believed that round Chinese or Japanese lanterns bring good fortune. Round lamp shades are versatile and suit any decorating ideas. These decorating lamps can be made or bought and attractively incorporated into your party or holiday decor. These lanterns have a universal appeal and add an exotic flavor of Asian interior design to your house exterior or interior decorating. Japanese and Chinese lanterns can adorn any living space and enhance home interiors or party and holiday decor. 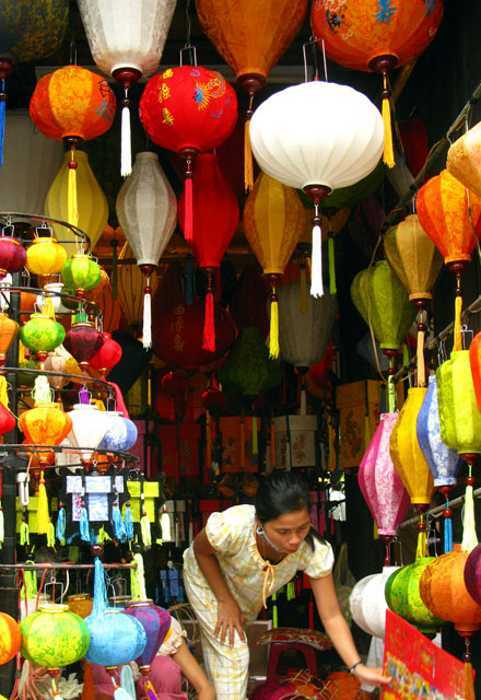 Vietnamese, Japanese and Chinese lanterns with silk lamp shades look gorgeous, elegant and festive. These decorations are versatile and can be used on many occasions, including Western New Year and Chinese New Year celebrations. Asian lanterns are artworks. 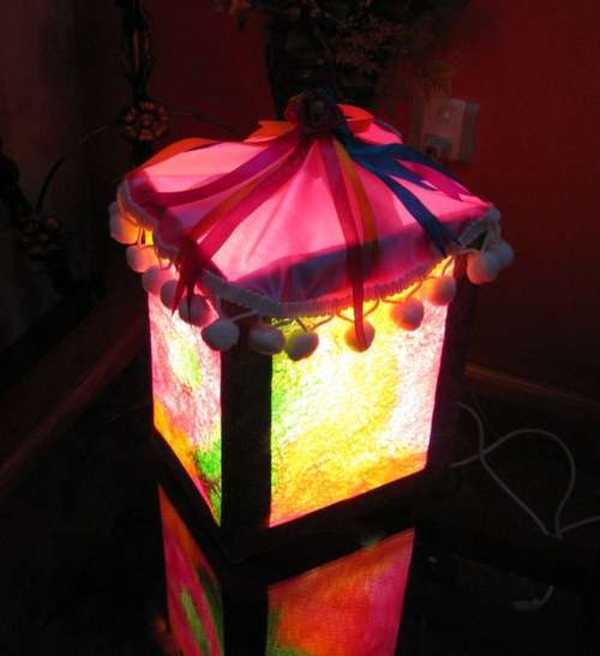 Made of silk, these lanterns come in various bright colors and various shapes. The traditional Asian lanterns are perfect for party and holiday decor. The combination of fabulous lamp shades with LED lights create contemporary and very original party or holiday decorations. Hanging these Asian lamps on the trees or inside the house create an elegant and glamorous look to party and holiday decor. These interior and exterior home decorations are inexpensive but dramatic and unusual. Asian lanterns are affordable and beautiful. Adorned with lights these lamps grab the attention and make a statement. 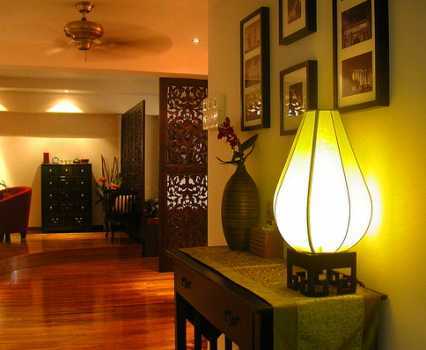 The Asian lamp shades vary in shapes, sizes and colors, adding festive mood and impressive designs to living spaces. Mesmerizing Chinese and Japanese lanterns offer a fabulous decorating theme for your party. 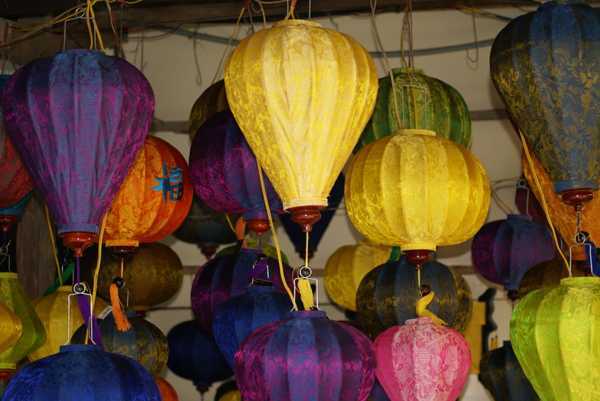 Vibrant colors of silk Asian lanterns such as bright green, turquoise, yellow, orange, red, purple and pink or just white allow to create very bright party or holiday decor. Japanese and Chinese lanterns are light and easy to carry, which is great for interior decorating experiments. Even 16 inch Asian lanterns are user-friendly and convenient. They can be hung upright at any place like ceiling, chandeliers, tree branches offering versatile design for interior decorating or outdoor party and holiday decor. No matter which event you use Asian lanterns, – birthday party, Christmas, Valentines Day or New Year celebration, they make your party and holiday decor look unique, bold and memorable. Paper lanterns are wonderful home decorations, but they do not last long. Silk lanterns have sophisticated and rich appeal, and these home decorations can be preserved and used on different occasions throughout the year, turning party and holiday decor into bright festival of magical lights.